"The best grasp on key business issues and a commitment to creating a better business climate in Ohio." "The Endorsement Screening Committee and the Society's Board believe you are a candidate who will serve your CPA constituents well, and who will to be a positive influence in the Ohio General Assembly." "NFIB endorses the candidates that clearly understand the issues effecting small business." "Replacing bad laws with good laws starts by replacing hostile legislators with friendly ones. Deitering will be an ally in the Statehouse helping to restore freedom and Second Amendment Rights." "A pro-life candidate, with dedication to the issue of life. Deitering will fight for pro-life measures." 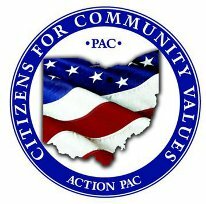 "Pro-gun/pro-hunting candidate who supports the Right to Keep and Bear Arms"
"CCVA PAC is a pro-family organization that supports candidates with a strong stance to defend faith, family, and freedom"